On August 25, 2017, Ciudades Development Corporation officially signed adding to the list of developers who trust Cornerstone as their real estate management system provider. Present on this event was Ciudades' chairman Benedicto Siy, Vince Siy - President, Chat Saludes - Accounting Manager and Cornerstone's head of marketing, Eugene Fajura. Ciudades Development Corporation, has been in the industry for over 30 years creating and building homes for Filipinos in Metro Manila that is budget-friendly and is smartly situated in accessible locations at the same time. One of their project is United Estate Townhomes located in Biñan, Laguna and is just 5 minutes off the Carmona Exit of the South Luzon Expressway that makes it convenient to people working in Metro Manila. Their vision to contribute in providing quality and well-built homes for the Filipino community becomes more attainable with the use of a technology driven software made especially for real estate developers. With the system that Cornerstone yields, everything can be managed smarter and lets the company take full control of everything and in sync that results to better decisions for the company. Looking forward to a fruitful year with Ciudades Development Corporation and once again, thank you for the trust given! 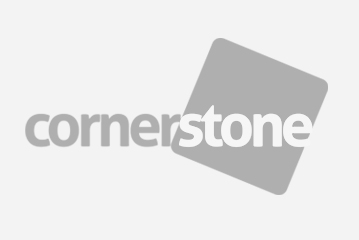 Cornerstone is a locally developed real estate management system created and maintained by Forward Solutions Inc. To know more, please visit www.cornerstone.ph.